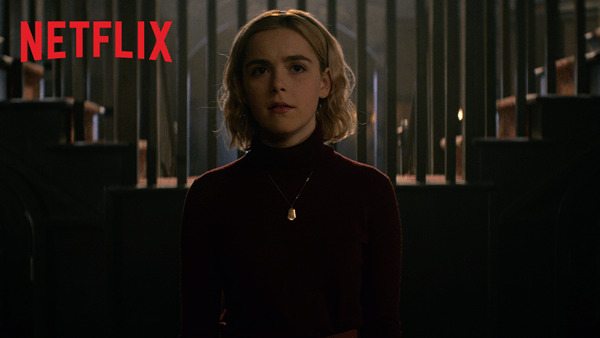 A week before Chilling Adventures of Sabrina launches globally, Netflix has treated us with a new featurette where the cast of the show talks about the upcoming show, as well as the journey that the main character takes as a half-witch and half-mortal. "Everything about the show is just so massive and grounded and real," says KIernan Shipka, who will be playing the titular character. "There's something that's next-level dark about it." Chilling Adventures of Sabrina is a dark coming-of-age story which reimagines the story of Sabrina the Teenage Witch. It follows Sabrina as she finds herself to trying accept her dual nature as a half-witch and half-mortal, all while fighting the evil forces that threaten her, her family, and the world. The show stars Kiernan Shipka, Ross Lynch, Jaz Sinclair, Lucy Davis, and Michelle Gomez. The 10-episode series will be launching globally on Netflix this October 26.